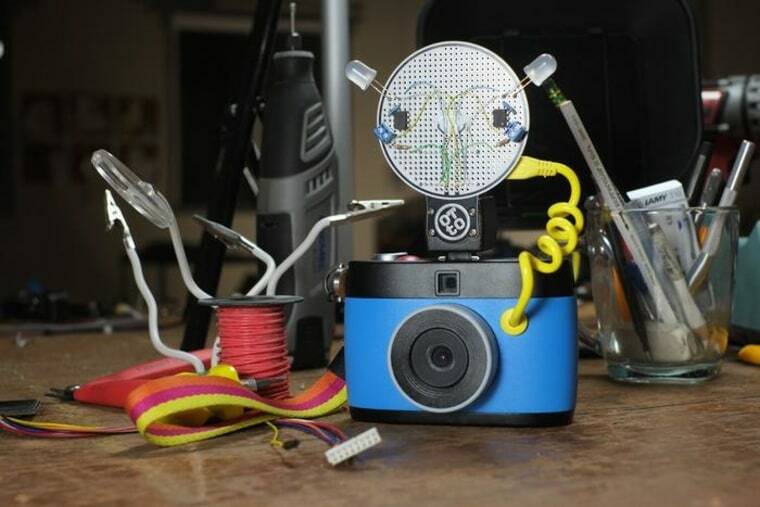 Have you ever wanted a weird, hackable plastic camera that makes animated GIFs when you turn a tiny crank? Well, if you didn't before, you will soon. The Otto camera, currently raising money on Kickstarter, is one of more original devices we've seen. That's right, you operate this thing by turning a crank. Sure, there's a screen and a shutter button and an app, but the crank is definitely the coolest part. The Otto is a deceptively simple-looking device, since it offloads much of its functionality to your smartphone. Shots are immediately sent to it for your review and tweaking, and you can control things like frame rate and timer duration through the app. The camera itself is a lens, a sensor, a tiny OLED display and a Raspberry Pi open source chipset — meaning you can hack it in any number of ways. Hook up a microphone and have it snap a picture when you clap, or use a motion detector to capture GIF proof of your cat jumping up on the kitchen counter. It looks like a lot of fun, though the $200 asking price (for Kickstarter backers) seems a little steep; there are probably GIF-making apps out there for a buck. But they don't have the fun or charm of this weird little device. Otto is well on its way to its $60,000 goal, but if you're interested, better move soon: The discounted pre-orders are running out fast.